Then I tried to forget about it and focus on finishing Nettie. But, I was worrying about the negative space for this quilt already. What size should I make the blocks to ensure that there are enough blocks to demonstrate the two block pattern, and still have lots of empty/negative space? Without making a huge quilt? My trusty clipboard and graph paper are never far away. I am good with computers, but I always design in pencil. I find that drawing is a more direct link with my creative side, and the ideas flow more naturally. I started by drawing the outside edges of the quilt, and then worked my way in from there. Is it still improv if it's planned? I definitely think it can be. In this case, I already had the eight requirements listed above. On the design, I drew physical boundaries, and improvised inside them. 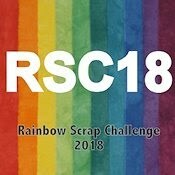 If you think about it, every improv quilt starts with some kind of limit or boundary -- colours, fabrics, size, technique or purpose. Usually a combination of those. I often think that people who are hesitant about trying improv are intimidated by the "blank page." So my point is that you get to decide how much improv to put in your quilt. Just make some space! So, after all that, how does the quilt look? 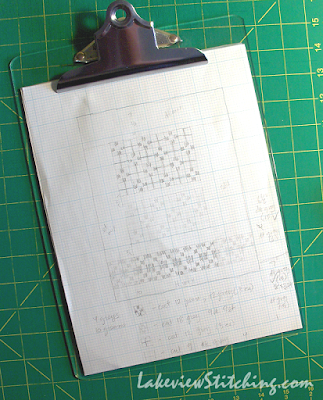 The idea for the grey pieced blocks, and the placement of the extra blocks across the bottom, both came while I was doodling with pencil and graph paper. After the blocks were pieced, I laid them out to get the best flow of colours and shapes. On the graph paper I had a strip of solid grey between the green 9+ section and the grey one. But as soon as I had both sections finished I could see that they would be better sewn together. So that's what I did. And then I had to re-balance the borders, and I did that too. Start to finish, about three weeks. It certainly is a welcome change to have everything flow together so quickly and smoothly! It is a big confidence builder. 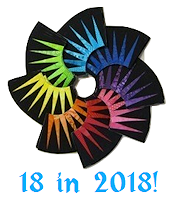 To me that has been the biggest benefit of incorporating improv into my quilting life -- I'm more willing to take risks, with the trust that I can fix any problems that arise. And, I'm no longer paralyzed by worry about the small details. Keep calm, and carry on! And while you're doing that, check out all the other improv projects at AHIQ this month, right here. I agree that it feels amazing when the flow is working in our favor! LIKE your quilt top a LOT -- thanks for sharing the process. So much to reflect on here. I've been really afraid of improv, but what you said about boundaries excites me. 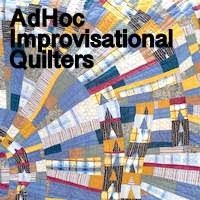 I always thought that improv quilts just "developed" as they were being made, and that was a real stumbling block for me. But I'm beginning to realize that the boundaries are what make improv freeing. 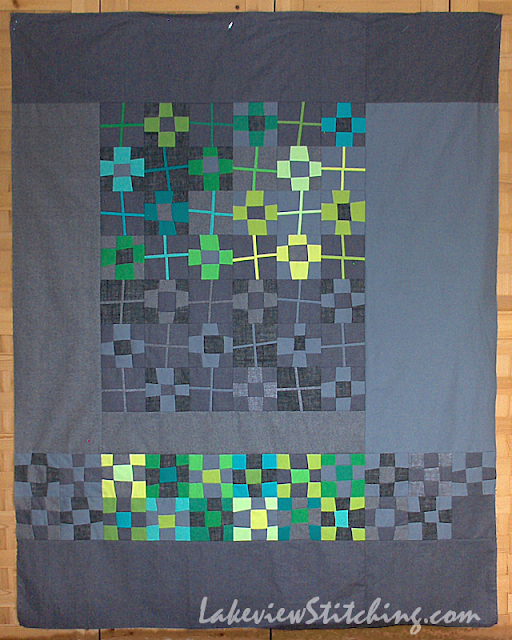 I love the way the plus blocks in your quilt seem to wave and how the green shimmers against the gray. Good call on leaving out the dividing strip between the green and gray pluses. The design really flows well. Great two block quilt! And yes, it's so satsifying when things just gel! I've hit a stumbling block with my 'nettie' version, back to the drawing board for me this week! Your insight into the improv process is right on. The boundaries are what make the challenge, even if only having to include both blocks. The light shining from the green against the grey is really impressive. I love the whole quilt. Wow, I LOVE your quilt top! So cool, and very effective. It's like the grey blocks are the shadows of the green blocks somehow. It just glows! Great job! I'm glad to see I'm not the only one that still used pencil and graph paper. I think it helps me think better. The less "stuff" in the way of what I'm thinking the better. It's so magical when the creativity just "flows" and things just work. The quilt gets done with little drama and it is so rewarding. Another wow, Monica- you have absolutely nailed this. I love the individual components and the way they have come together. I think your results show that this 'flowed' as you were making it; every piece seems just right,nothing superfluous, nothing missing, nothing in the wrong place. Thanks for linking up with AHIQ, and sharing your thoughts on improv too. I love how the colors glow against the gray. 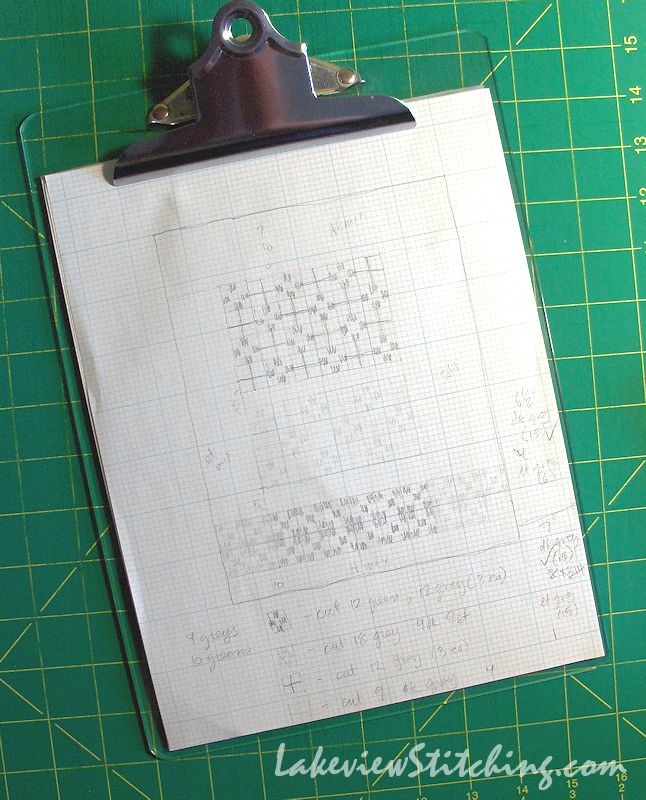 I design on graph paper too. 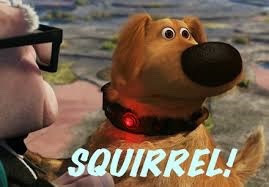 At least when I'm trying to figure proportion & measurements! This project probably flowed well as a result of your boundaries! Smashing quilt, love the luminous effect! NICE! Looking forward to seeing how this works out. I work from graph paper frequently, too. It does help size up a quilt better. I love your nine patch quilt and the way you constructed it - open and asymmetrical. Love the blank space instead of an extra nine patch near the bottom. 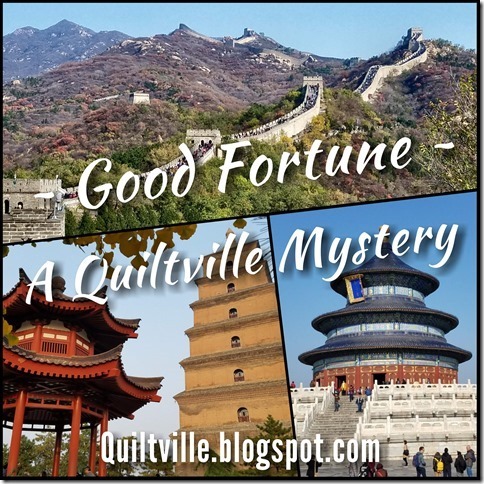 Thanks so much for linking this well-thought post with AHIQ. Thanks for sharing your process. I'm a paper and pencil kind of quilter too. I think you sucessful checked off your criteria. Wow! Only three weeks? Wow! I love the luminous effect and I look forward to seeing your quilting. . .perhaps some circles?? Thanks, Terry! I am thinking about something with the walking foot for the quilting. But, I have to practice a little more first! I love, love, love this quilt. You have nailed the improv process. I think you should enter this into a show. Seriously. And when you are tired of it, I can give it a good home. Swoon. I also love reading about the different ways everyone goes about making a quilt. Thanks for sharing. That's an amazing turnaround time from start to finish! Wow! Yes, the glow and flow is great - came together really well. Ingenious!